(BPT) – Spring is in full swing, which means it’s time to reinvigorate your kitchen with a new look! When planning your refresh, consider these simple, stylish swaps that don’t require investing tons of time or budget. Faucets often serve as the centerpiece of the kitchen. Replacing an outdated model is an easy way to give your space a facelift. 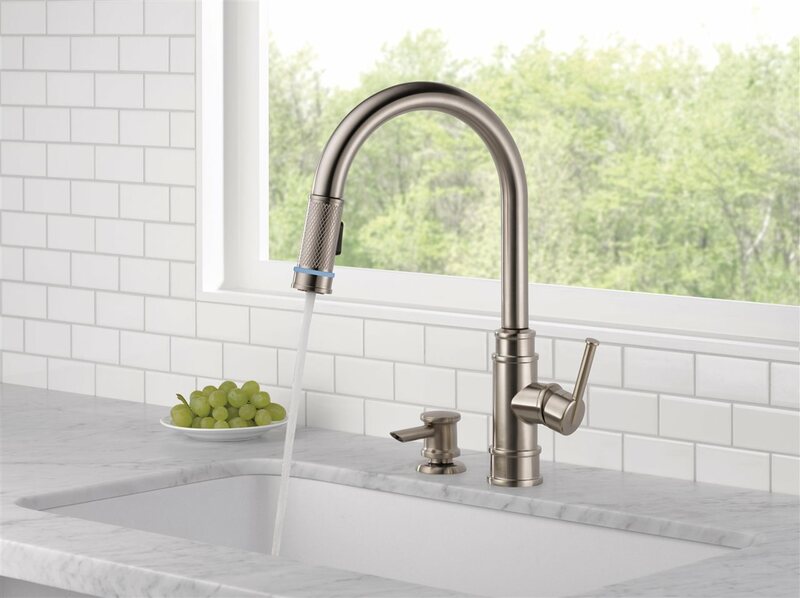 Choose a piece that’s as functional as it is fashionable such as the Delta Allentown Faucet, available at The Home Depot. This faucet offers an industrial, versatile design and tech-savvy appeal for every modern homeowner. Complete with TempSense Technology, the faucet will notify you when water has reached your desired temperature through coded LED light colors. Small changes can make all the difference. Replacing outdated cabinet knobs and drawer pulls can give your space a fresh streamlined look with minimal effort. Dated accessories can weigh down the aesthetic of the entire room. Instead, replace with hardware in a bold bronze or sleek matte black finish. Play with textures to create a more intriguing space. Replace flat wall paint with a backsplash made from unique materials, such as faux-brick, salvaged wood or stainless-steel subway tile. A textured surface touting quality and distinction lends a design-forward aesthetic without breaking the bank. Replace traditional décor with curated accents to elevate the space and delight the eye. Incorporate a plush patterned rug or paint cabinets with an on-trend hue of blue, gray and green, such as Behr’s Color of the Year titled, “In the Moment.” Most importantly, remember to let your personality shine by adding items that have special meaning. Whether it’s a set of vintage bronze candlesticks you found at a local antique shop or artwork purchased on vacation, unanticipated personal pieces often create storytelling moments and receive the very best of compliments. For more design inspiration, visit DeltaFaucet.com/design-innovation/inspiredliving.